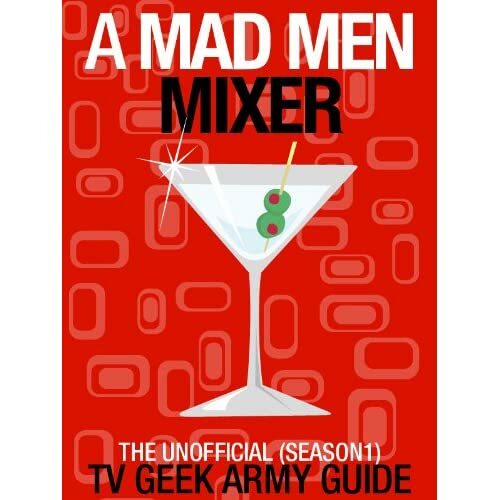 Posted on Thursday, February 23, 2012, by Eric - TV Geek Army "Revered Leader"
In this final stretch run to Mad Men's Season Five premiere (Sunday, March 25th, on AMC) every scrap of promotion and teaser info we can dig up is both tantalizing and maddening. From the radically minimal promotional poster to the odd comments made by Matthew Wiener, John Hamm, and others over the last few months, everything we know – which admittedly, is precious little – points to a clean slate and back to basics kickoff to a new adventure with Don Draper, Betty and fam, and the Sterling Cooper Draper Pryce advertising firm circa… 1966, maybe? If nothing else, a new batch of teaser video trailers showcase Mad Men's playful and masterful ability to weave together comedic and dramatic moments on a show that wields unusual emotional power. All in all, I expect nothing less than the fact that we are going to be in for yet another hell of a ride. I just wish we could get this thing going already – it feels as though we've been waiting for the new season since 1963 or so. Has it been stated whether Cooper is back? No -- and I'm guessing that will be held back until (at least) the premiere. Cooper's inclusion in this trailer series would have been big news indeed! There are too many days between today and the start of the show. Hurry up time!